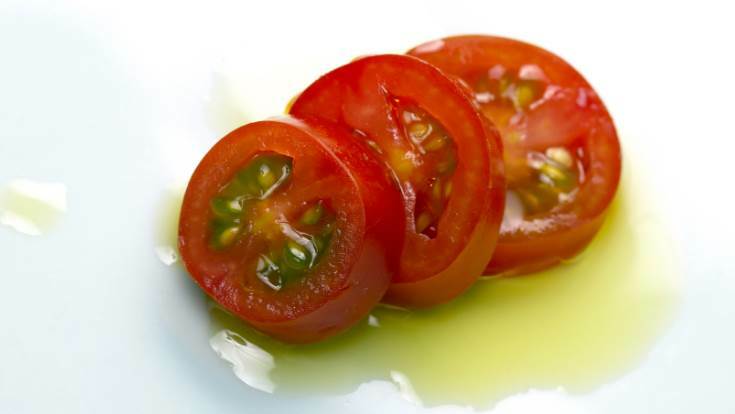 There’s a powerful couple heating things up in the kitchen: tomato and extra virgin olive oil. Apart, these two SuperFoods protect, energize and satiate; together, they amplify each other’s already extraordinary benefits. Low in calories and high in fiber, tomatoes are a great source of carotenoids, which in addition to their incredible anti-carcinogenic and immune-enhancing properties, help maintain radiant, picture-perfect skin. Tomatoes are one of the primary plant-based dietary sources of beta-carotene, an extraordinary carotenoid with the ability to be converted into active vitamin A. A crucial component for healthy bone and reproductive development, vitamin A also helps maintain skin’s youthful appearance by increasing cell synthesis and turnover as well as stimulating collagen production. Lycopene, another natural and powerful carotenoid found in tomatoes, effectively eliminates damaging free radicals like singlet oxygen. It can also raise the natural sun protection factor (SPF) of your skin. 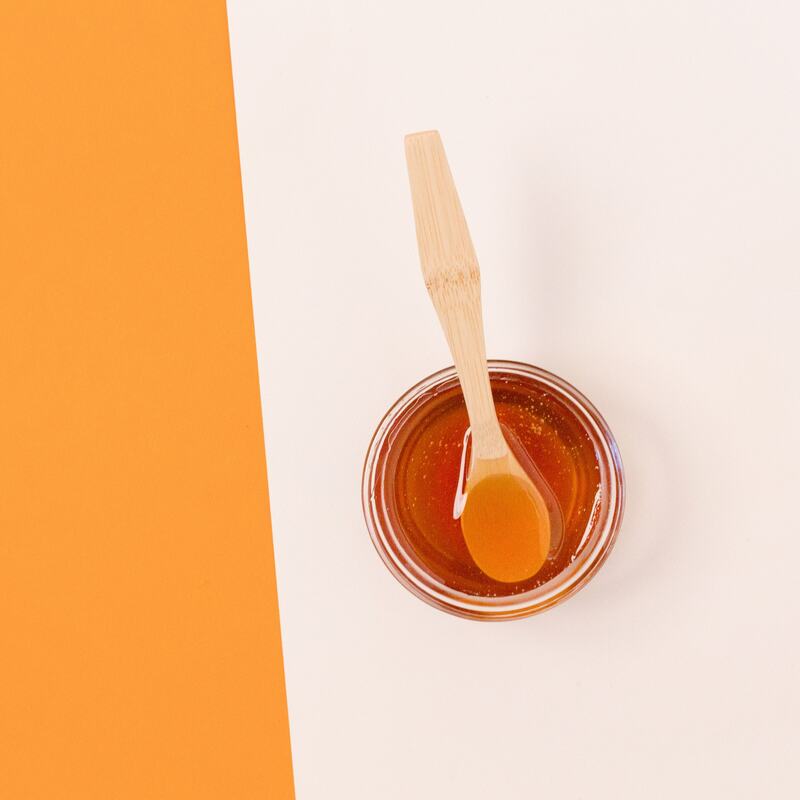 A study with 50 trials conducted by three prominent British psychologists, Stephen, Coetzee and Perrett, found that participants consistently preferred the skin tone and texture of faces reflecting the effects of carotenoids. Don’t let tomatoes’ short season discourage you from including them in your diet. Tomatoes’ full nutritional value is found in processed versions available all year long, such as soups, sauces and juices. In fact, studies show that tomato paste has four times the amount of lycopene found in whole raw tomatoes. In order to take complete advantage of tomatoes’ impressive qualities, pair them with the flavorful SuperFood, extra virgin olive oil. Not only does heart healthy EVOO protect cells against damage and inflammation and promote healthy skin from the inside out, it also helps ensure the absorption of these fat-soluble carotenoids. So roast cherry tomatoes with a couple tablespoons of extra virgin olive oil, or toss a few sun-dried tomatoes on top of a salad, and get ready for your close-up. About the Author: Merritt Rosen holds a Masters in Health and Consumer Psychology from New York University. Her favorite SuperFood is oatmeal. Can Tomatoes Help You Avoid Cancer?